Oh, you thought SantaCon was the worst of all possible worlds? Behold, FieriCon. The second annual event will see brochachos dressed as Guy Fieri bar crawl their way through Midtown beginning at 1 p.m. on Saturday, November 18. The bleached masses will congeal at 1 p.m. at The Hog Pit, then move to Pioneers Bar, Stout NYC Flagship, and The Keg Room, in case you need to know where not to be. FieriCon begs but one question: Porque? 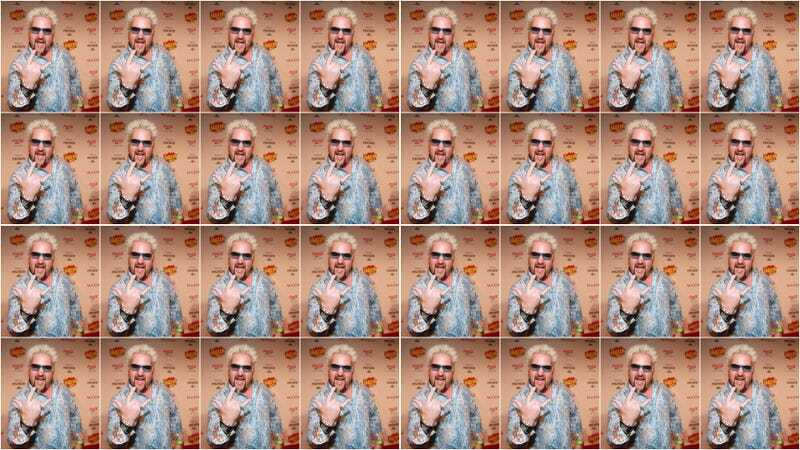 It bills itself as “a collection of Guy Fieri enthusiasts who are going on a bar crawl in his honor.” It’s unclear why Fieri needs honoring or why a bar crawl is the appropriate tribute, but maybe the permanent residents of Flavortown know something we don’t. If we’ve been searching for a reason to direct our venom, we have our answer: He spawned a Midtown bar crawl.